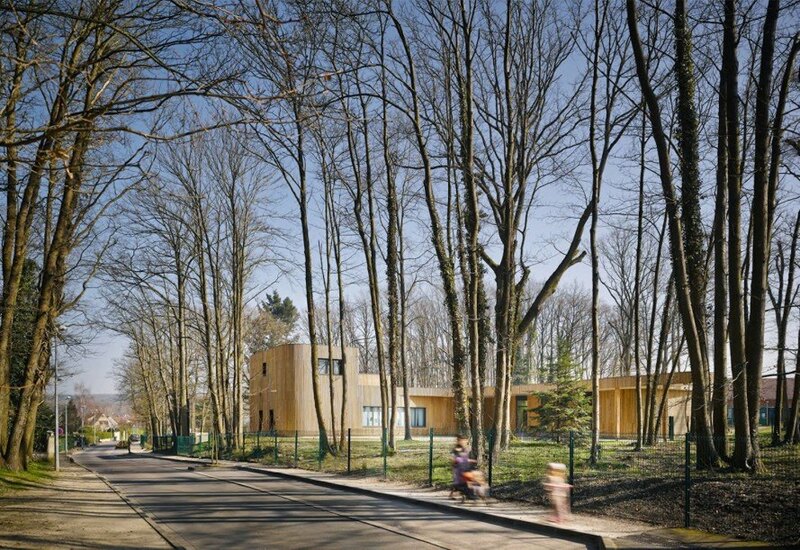 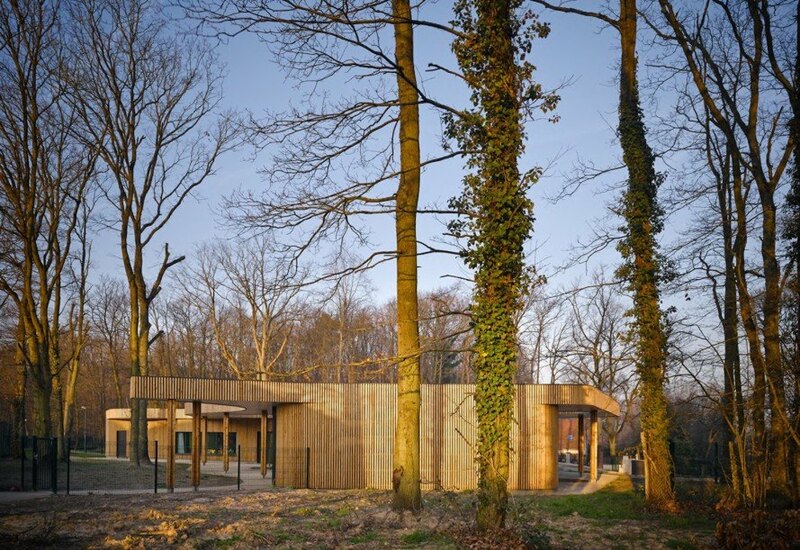 A tree-inspired primary school embraces nature-infused learning in France. 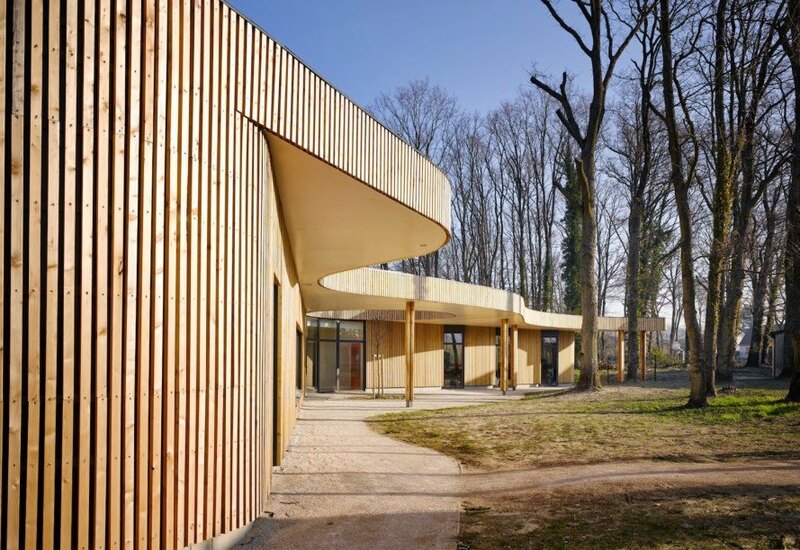 Paris design firms <a href="https://inhabitat.com/tag/mu-architects/" target="_blank">MU Architecture</a> and <a href="http://archicop.blogspot.com" target="_blank">Archicop</a> designed the <a href="https://inhabitat.com/tag/timber-clad-facade/" target="_blank">timber-clad</a> school with an organic shape that winds between trees in the French commune Briis-sous-Forges. 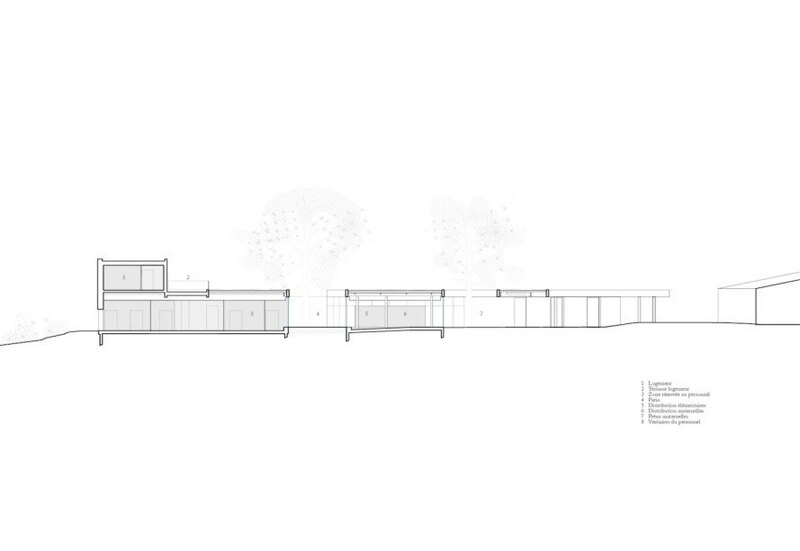 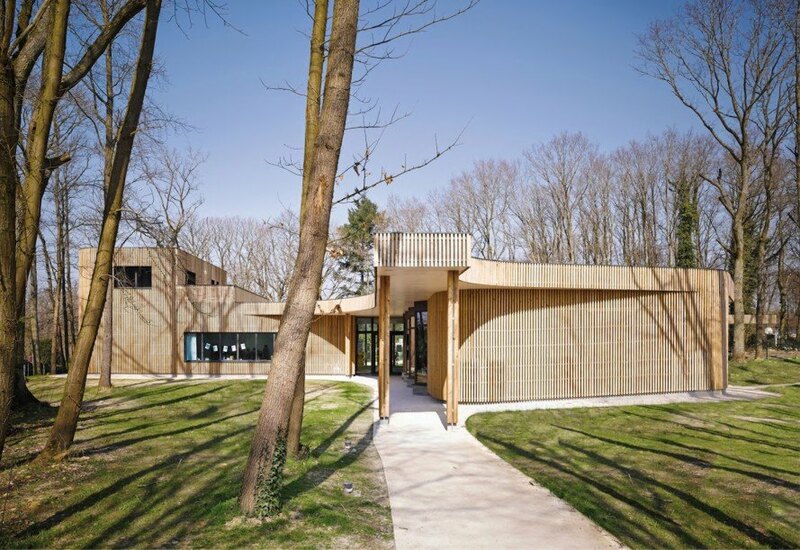 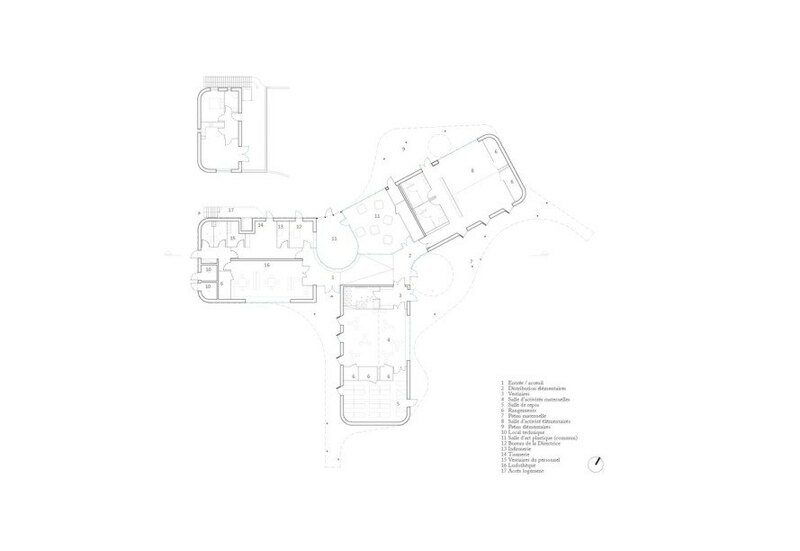 Full-height glazing fills the green-roofed school with natural light and frames views of the surrounding woodland.